Our family LOVES the flavors of the Mediterranean – specifically Greek food. My husband grew up in Greece, so we do tend to have Kalamata olives, oregano, olive oil and Feta on hand at all times. You know what else we love? Burgers on the grill. Who doesn’t love that fresh, grilled taste that just screams SUMMERTIME!! 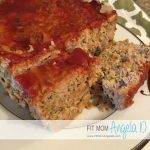 This is a great option for those not only following the 21 Day Fix, but for people who are wanting a healthy alternative or maybe just a change from your every day burgers! These tasty Greek Turkey Burgers are sure to please! 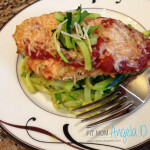 Did I mention, my boys both ate them up – and they have zucchini in them? Yes – mom win right here. Enjoy! A juicy burger with out the guilt? Count me IN! 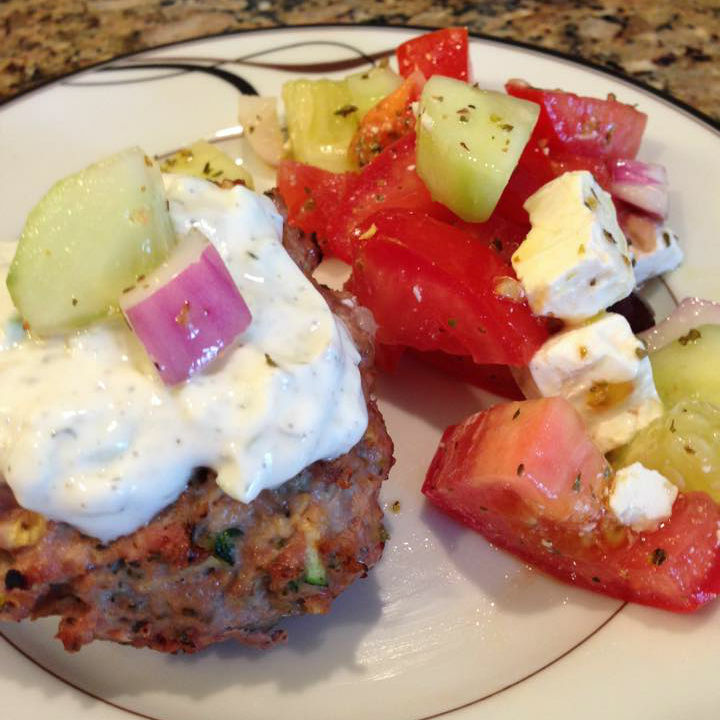 The mix of Greek flavors in these burgers were a huge win at our house! 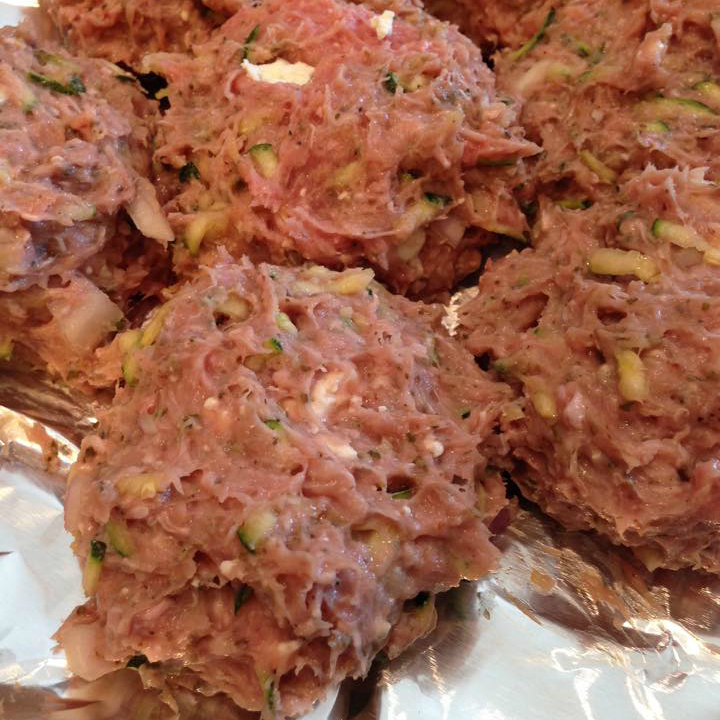 In large bowl, combine all of the Turkey Burger ingredients and mix well. Divide into 6 equal patties. Cook burgers on medium heat, about 5 minutes per side or until no longer pink in the middle. What containers are in this recipe? Trying this tonight! My hubby is so excited, I hope they taste as good as it all smells! made these tonight, they were way better than I expected and the tzadziki sauce was amazing. thanks! How many servings does this burger recipe make? This recipe makes 6 Turkey Burgers. 🙂 Enjoy! Sounds delicious and I want to try it but howw much is 1/6 of a container? Doesn’t seem like much at all…those blue containers are so tiny as is how do I measure that? Hi Melissa! 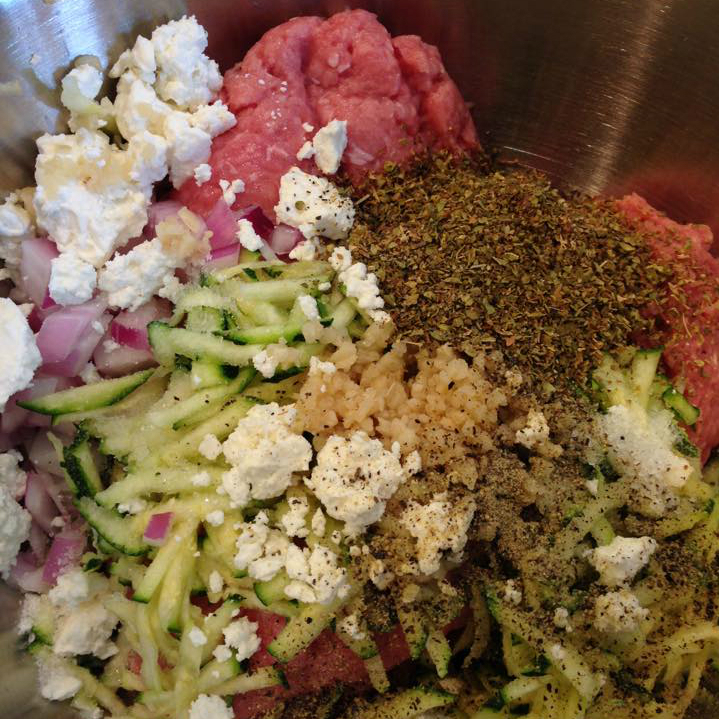 Ok – So when you make this recipe – it will make 6 burgers and calls for 1 blue container of Feta. Assuming everything is evenly distributed among the 6 burgers, you can count 1/6 blue container of Feta – then when you are ready to serve, don’t fill up your Blue container with Feta to the top and serve it over the salad. 🙂 Enjoy! This is a great recipe but 1 tablespoon of oregano is WAY too much. I used way less and it was still overpowering for my tastes. Great idea though. I made them again with less and love to eat them with hummus! I like them with the zucchini included or left out, too. I baked mine in muffin tins in the oven on 350 for about 15 minutes or until they temped up to 160. Thanks for the idea! These burgers were pretty amazing. 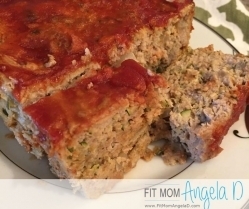 I was a bit hesitant at first because I haven’t found a turkey burger recipe that I liked. This one hit the spot. And the sauce was pretty good even though I didn’t have any dill to add to it. Can’t wait to try some more of your recipes. Hi – I’m confused about how to count the sauce as a “condiment.” Does that mean to count it as a teaspoon? Aw thank you Tawnya! 🙂 So happy you love them! 🙂 Thank you for sharing, too! I’m not a big fan of cheese. Would it still taste good without the cheese? Or would you suggest a substitute? My family isn’t really a big fan of zucchini. What could we use as a substitute? These burgers were AMAZING! My husband,son and I are all doing the program. We were all concerned that they would be dry, but not even close! My husband was more willing to try all the recipes because you said your husband actually liked them! Thank you. 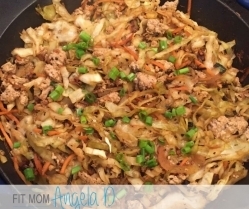 We would love to see more recipes your husband enjoys ? Just made these and they were absolutely wonderful!! The burgers were so good and the tzadziki sauce was amazing!! 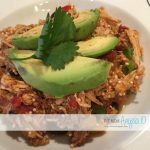 Thank you for posting such a delicious and healthy recipe. I will definitely make these again!! OH YUM! May have to give that a try! Sounds delicious! 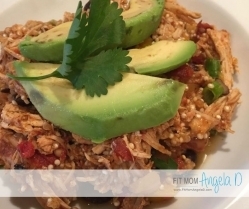 Do you have the nutritional values for this meal and not just the container portions? Am I missing it somewhere? I am pretty excited to try these tonight. I made this recipe on the weekend!! I look forward to making other recipes that you have. These sound delicious I’m making them as I type this:) do u use any kind of cooking oil or spray?? I don’t want them to stick to the bottom. You absolutely can! It wouldn’t hurt! I hope you enjoyed them! Do you think it would be possible to make the patties ahead of time and freeze them? 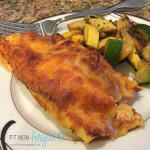 I made this for dinner and it was heaven! I love Mediterranean food but have never tried cooking it myself. I am definitely going to try more of your recipes. Thank you for sharing them!! I’d really like to try these but I am really not a fan of zucchini. Would these still taste alright with ought the zucchini added in it? In your recipes with ground turkey, could you substitute lean beef? How would that change the cup count? (Or would it?) Thx! Wow, these were amazing! The burgers were so flavorful, the oregano was definitely not too much, your recipe is perfect! I add lemon juice and olive oil to my tzatziki and use fresh garlic. I served these on naan bread with lettuce, tomato, and hummus with a side of sweet potato fries. We loved it and I can’t wait to make it again! Is each patty considered a red? Made this tonight and I loved them, and I don’t even like turkey burgers. The tzatziki was amazing as well. I will definitely make this again. Had this for supper tonight – delicious! Tastes like a gyro but even healthier! YUM! Made these tonight and everyone including the kids liked! My 14 yr old daughter asked where I bought them and I said I made them and she gave me the “ya right look”. I’ll take it as a compliment 😊. Will definitely make them again. I love that! 🙂 Way to go, mama!